The May Day general strike should raise all the demands of the movements of the workers and oppressed against all the mounting attacks of capitalism. These include, for example, demands against union busting and those that speak to the struggle of low-wage workers, including the demand for a global minimum wage. However, the May Day global general strike’s sharpest focus must be against all that Trump has come to represent — racism, white supremacy, neofascism, Islamophobia, attacks on immigrants, attacks on women and LGBTQ people, and a drive toward imperialist war. What’s more, the May Day global strike must be against the whole system of capitalism and imperialism and for socialism. Forging a united front among the most militant and revolutionary forces can help this happen. Whether or not the masses are willing to join such a global general strike at this moment is a question that can only be answered if there exist, on the part of enough forces, the will and commitment to fight for it. What is beyond question is the objective political necessity of a global mobilization of the masses on a new level of militancy and higher political level. The global general strike, more than an end in itself, should mark the beginning of a wider, escalating struggle of the workers and the oppressed across the planet, whose ultimate goal must be nothing less than socialist revolution. Why a global general strike? While many struggles tend to have a local character, it is no longer possible for the workers and the oppressed to conduct the struggle against neofascism, capitalism and imperialism on a solely local basis. The changes in global capitalism have made it both necessary and far more possible for the struggle to be waged on a globally coordinated scale. 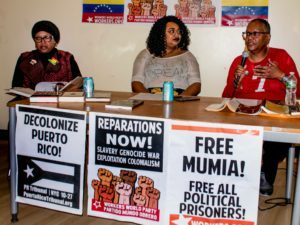 We believe that convening local people’s assemblies around the world to help prepare for a May Day global general strike is an organizing tactic that should be used widely. Such assemblies can take many forms, including people’s and workers’ assemblies, women’s assemblies, LGBTQ assemblies, student and youth assemblies, etc. These assemblies could facilitate bringing tens of thousands of organizers into general strike-building, as well as providing the opportunity for militants and activists to issue their own calls for the general strike that reflect local demands, as well as the demands of diverse sections of the workers and oppressed. This mistake can only serve to further marginalize and demonize the most oppressed sections of the working class, who are already the first targets of neofascism. 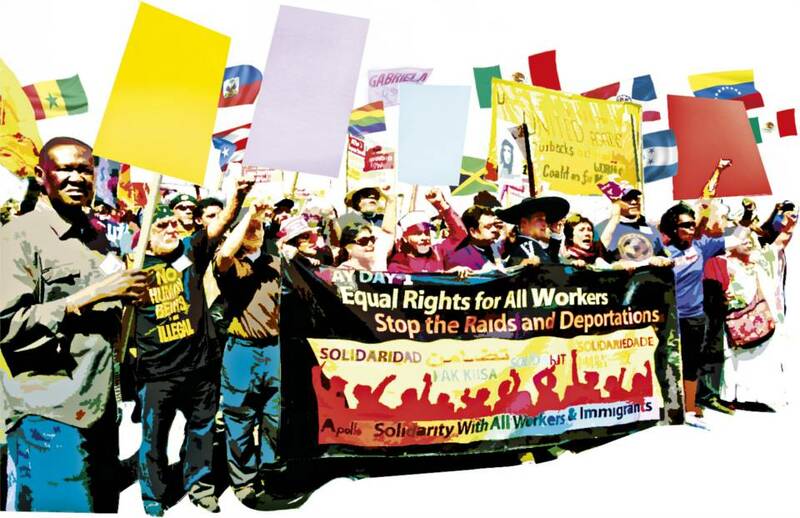 This mistake also ruptures the necessary solidarity between the workers and the oppressed. When we talk about the working class, we are talking about the oppressed. This is why the workers’ movement changed the slogan “Workers of the world unite” to “Workers and oppressed peoples of the world unite.” Our view is that it is the oppressed who are in the leadership of the entire working class. Trump does not represent the beginning of attacks on the oppressed. Capitalism’s war on the oppressed has been going on for a long time. Trump has only unmasked it. As part of the task of defending the oppressed, we advocate for the establishment of local defense committees whose first priority is to defend the oppressed against attacks from both the state and reactionary, white- supremacist and neofascist elements. The election of billionaire, white supremacist and neofascist Donald Trump in the United States, together with the ascendency of neofascists in other parts of the world, has opened up a new phase of the world struggle between global capitalism and imperialism and the workers and the oppressed. The crisis that produced Trump is the crisis of a dying capitalist system. The goal of Trump and his neofascist, global counterparts is to divert the global uprising against a dying capitalist system into a global war against the most oppressed by destroying the revolutionary objective of solidarity between the workers and the oppressed. We must not allow the liberal (actually neoliberal) wing of the imperialist ruling class, represented by the Democratic Party in the U.S. and by pro-capitalist, social-democratic parties elsewhere, to lead the struggle against Trumpism. This camp of the global capitalist class has been the main servants of capitalism, charged with preventing the working class from becoming independent of capitalist political parties. This camp of world imperialism has thrown the entire working class under the bus, paving the way for the Trumps and Le Pens of the world. We welcome the mass protests against Trump. It is a sign that millions are becoming radicalized. 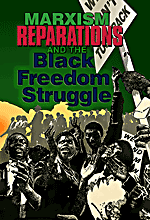 The protest movement must not be usurped by any capitalist party, but instead channeled toward independent revolutionary resistance and uprising. It is up to the workers and the oppressed of the planet, including all genuinely independent progressive forces, to commence now the final struggle to rid humanity of the malignancy of capitalism once and for all. This crisis has opened the biggest opportunity for a regroupment of the revolutionary, anti-capitalist, anti-imperialist left on a global scale in a lifetime. 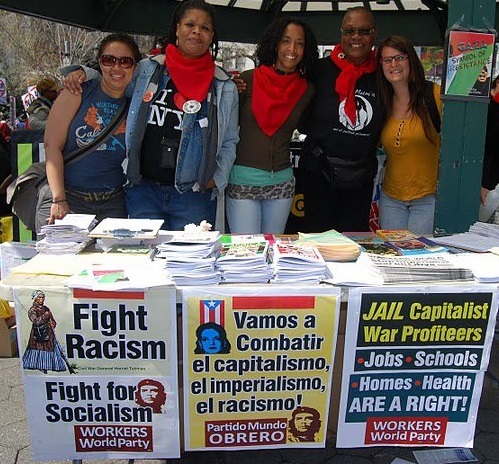 We appeal to all anti-capitalist forces — whether communist, socialist, anarchist, etc., and especially those belonging to oppressed peoples, nations, communities, the labor movement and the working class — to embark on a new road to a global, revolutionary, united front. Among other things, such a revolutionary front would be an ally of the militant youth, who all too often have come to view most of the left as wanting to put a brake on their militancy. It is not necessary for anyone to give up their principled political differences in order to forge a revolutionary united front. However, especially now, anti-capitalist forces cannot allow differences to become a barrier to forging such a front. We are not opposed to a broader front on a temporary basis. Genuine revolutionaries must set aside sectarian habits. We also understand the need for different tactics that address the whole working class and its many different layers of political consciousness. To repeat, we understand the need to be able to work with broader forces on a temporary basis. If, however, revolutionaries are not able to forge a higher level of unity, it will only make it easier for the Democratic Party and other pro-capitalist parties to resuscitate themselves by posing as the opponents of Trump. 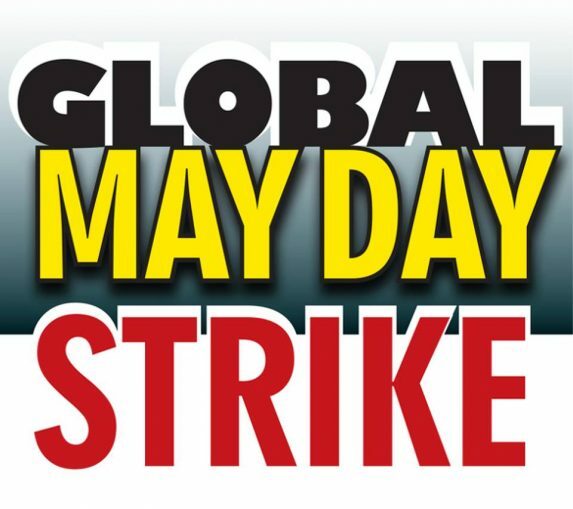 On to the May Day Global General Strike! Shut It Down!